Providing the Largest OnLine Vacation Rental Inventory in Puerto Rico. We now have ez booking Advantage internet merchant gateway with your credit card. Click on menu items at left for full list of available vacation and corporate rentals by area. The largest Inventory of Vacation Rentals for Rincon Puerto Rico! Click here for details. See us grow!! Our newest website Rincon-SolPlaya.com is now Online! Dedicated to promoting Premier Vacation Rental Properties in Rincon Puerto Rico. For your convenience we now accept rental payments on deposits by credit card (Visa/MC only). For more information, call toll free 888-PRWESTV (888-779-3788), send eMail, or Rental Reservation Request. Please Note: Rental Rates are subject to Change without Notice. Looking to buy Investment Property in Puerto Rico? Visit our Puerto Rico Real Estate web site prwest.com! Click here to confirm a reservation. "Exotically Foreign yet uniquely American!!" For travelers from the mainland who don't feel safe leaving the US, the US Commonwealth of Puerto Rico is an appealing vacation getaway destination during these tense times. As a US Commonwealth, our airports are subject to the same strict standards and regulations imposed by the FAA as other US Airports. So you get the exotic feeling of being in a foreign tropical island paradise, but with all the amenities and protections of being in the US. There are no passport hassles either, just show your normal state-side identification when you check-in for your flight and that's it!! We also now provide help with finding the right type of Real Estate Investment based on your particular needs. 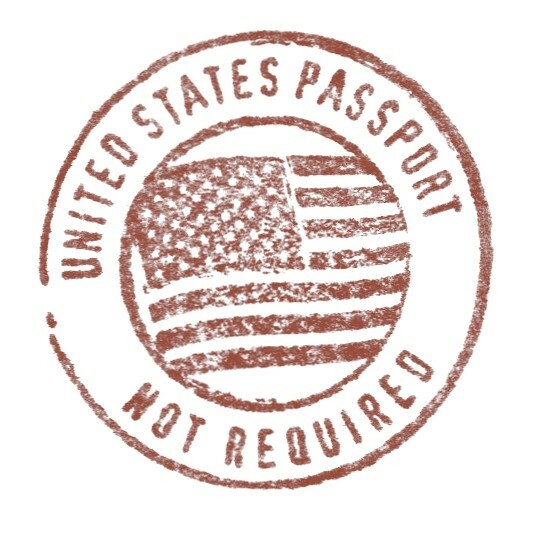 New Passport Regulations require for US Citizens to also present their passport when they re-enter the U.S. from a non-U.S. location in the Carribbean. Given that Puerto Rico is in the Carribbean, there has been some confusion on whether the new passport rules apply to returning U.S. citizens from a visit to Puerto Rico. Given that Puerto Rico is a U.S. territory... RELAX!! YOU HAVE NEVER LEFT THE U.S.!! So...presenting your passport at airline check-in is NOT REQUIRED. Come!... Relax!... It's Puerto Rico USA! !